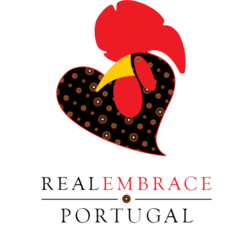 Real Embrace Portugal is headquartered in the greater Lisbon area, in Algés. We are a licensed company in the Organization of Tourism Entertainment Activities by the Tourism of Portugal with the registration Nº 182/2013. Our mission is to promote the historical and cultural heritage of our country, in a decentralised approach, valuing the dynamics and cultural and historical specificities of each region with quality, by offering diverse and segmented customized products ( as the desire to enjoy your own experiences). You learn the identity of a place by wondering through its streets, cobbled by secular stones which were the stages of events that led to the living and the feel of a nation. You can also seize it while touching the buildings, which are the witnesses of stories, the accomplices of dreams and disappointments. The sounds, the scents, the tastes and the knowledge bring back the memories of an ancient time, which still remains in our feelings. Discover our routes and set off to the discovery of what is truly genuine. It’s normal for first time Lisbon-goers to arrive with postcard-perfect expectations, but sometimes you need a little extra help to truly uncover the city and discover it from a local perspective. We will help you understand the layout of Lisbon, how to get around, to know interesting things happening during your visit that may be worth checking out. Let us know any special interests to make the most of our time together. Thematic routes, experiences, and historical paths of the Portuguese heritage (jewish, megalitic, roman, romantic, fresco, gastronomic, winery, cheese, industrial and archaeology routes).